Midnight Mint Thumbprint Cookies. A dark chocolate thumbprint cookie filled with creamy mint frosting and capped with a dollop of rich dark chocolate. I thought about this idea for Midnight Mint Thumbprint cookies when I was writing about the Chocolate Covered Cherry Cookies recipe. It was a bit of a challenge for me to get the dough correct for that recipe and be deeply chocolate flavoured but still soft enough that it didn’t crumble. When I finally got the recipe right, I started thinking that you could fill the centre with lots of different things. One of my first thoughts was a mint cream centre that would be perfect for the upcoming Holiday season. Another quick batch later and a small batch of buttercream frosting flavoured with peppermint extract and there they were. To tell the truth they were so good, I did eat 3 during the time I was shooting the photos for the recipe. Off to the freezer they were banished until Santa comes! 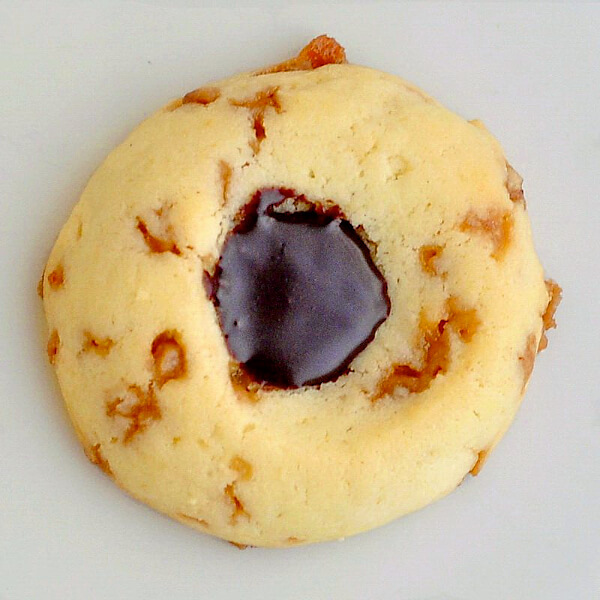 Like this Midnight Mint Thumbprint Cookies recipe? Midnight Mint Thumbprint Cookies - a dark chocolate thumbprint cookie filled with creamy mint frosting and capped with a dollop of rich dark chocolate. Simply beat all of the ingredients together until smooth. You want this to be thicker than frosting so only use as much milk as it takes to make a very stiff filling. You can always add a little more icing sugar if you use a little too much milk. Using a piping bag or a Ziploc bag with the corner snipped off, fill the cookie "wells" with the mint buttercream filling so that they dome a little over the height of the cookie. Spoon a dollop of the chocolate over the filling to cover it. These look and sound amazing. I will be making them this week. Found this recipe this morning, cherries are draining and butter is softening, the absolute perfect recipe I was looking for, but it’s always the perfect recipe on your site. I have never had one come out wrong, always tastes wonderful, and from scratch is appreciated. Your amazing thank you! Happy holidays.